residence high standard of 108 apartments, 768 beds. 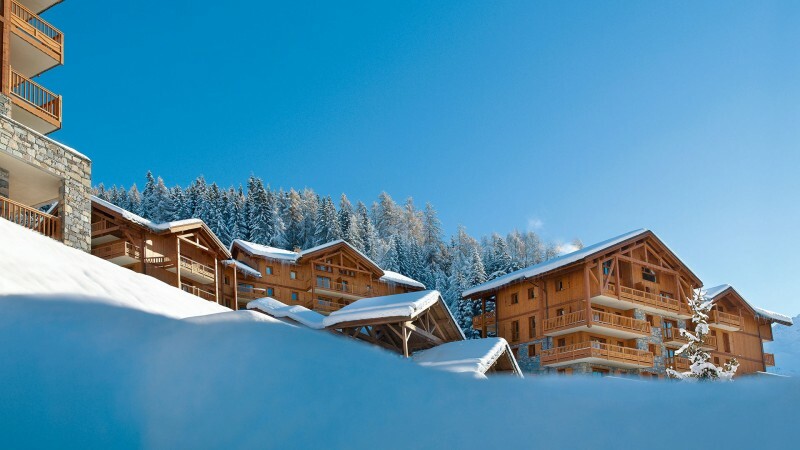 Situated in Vallandry, 1650m altitude. Bottom of the slopes, 20m from the chairlift. 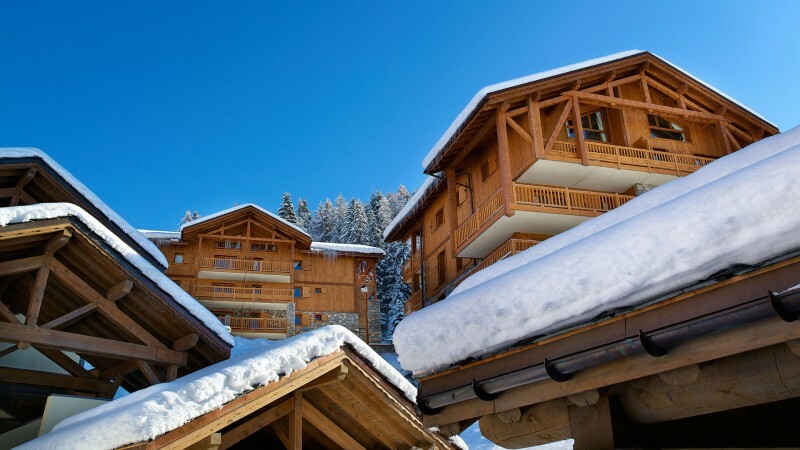 5 Big chalets with panoramic views, equiped with lifts. reception, lounge with chimney, billard table, library. Free acces : Indoor heated swimming-pool, bubble bath, turkish bath, shower, sauna, cardio fitness room: free access, included in the price. With supplement : spa & beauty center. Towels : 8 € for kit towels, 8 € for peignoir. wifi : free in the apartments and in the lounges. Parking lot : 25 € per week on request if possibilities. Pets : 50 € per stay. 1 animal per apartment maximum. Baby equipment : free but must be prebooked. DVD : free but to be booked at the reception. On request : boulangerie, massages at home. tourist tax 2.20 € per night and per adult. Stays for the week or longer. All inclusive formulas. Beds are made for your arrival ( except the one in the living-room ), towels, 2 dish clothes, cleaning kit, end of stay cleaning (except from the kitchen and dishes), television. Free access to the covered swimming pool, and the bubble baths, saunas, turkish baths and the cardio-training room. Supplement for the following : massages and body care in the spa area. 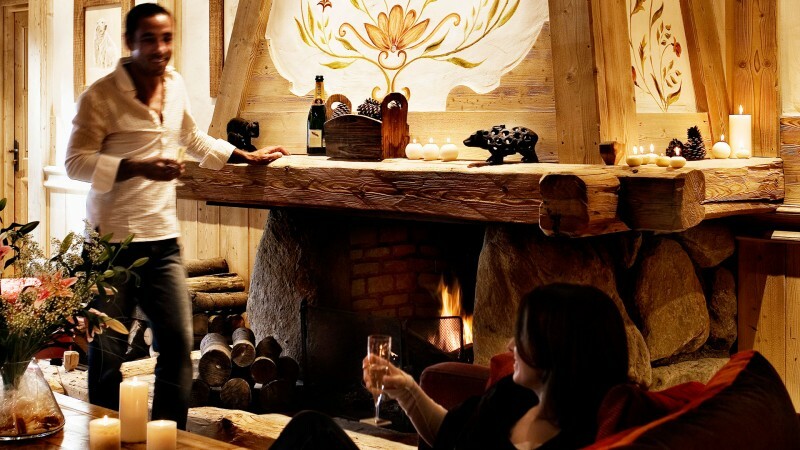 - 20% off your 2 consecutive week stay. - End of stay cleaning (except from the kitchen and dishes), television. Before 31/10/2017 for a stay between the biginning of winter season and 31/10/2017. For a week stay excepted weeks : 30/12, 10/02, 17/02, 24/02 & 03/03/2018. Website "CGH L'Orée des Cimes residence ****"